The video below demonstrates how compound bows are made at the Bowtech factory in Oregon, USA. One of my bows (I currently have 18 bows) was made in the Oregon factory, so it was interesting to me to see where my bow was actually made and how it was made. 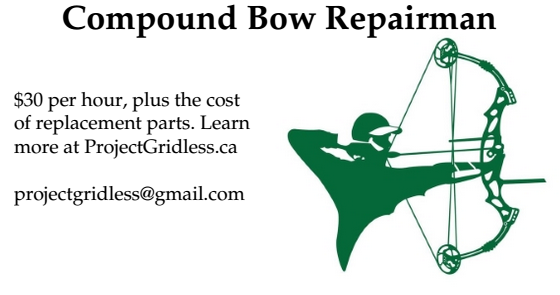 For those people looking to get into bowhunting with compound bows I recommend getting compound bow archery lessons so you actually know how to tune your compound bow properly and proper form with your bow - both are necessary if you want to the best possible accuracy. Not knowing how to tune your compound bow sights / etc and not knowing proper form means you will make all sorts of mistakes (and probably lose/damage lots of arrows) when you could have learned the proper way from the beginning. It doesn't matter so much where you get your lessons from, but you should get someone to teach you how to do it properly.